This highly anticipated workbook will help readers put the principles from Melody Beattie's international best seller Codependent No More into action in their own lives. 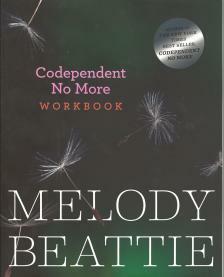 The Codependent No More Workbook was designed for Beattie fans spanning the generations, as well as for those who may not yet even understand the meaning and impact of their codependency. In this accessible and engaging workbook, Beattie uses her trademark down-to-earth style to offer readers a Twelve Step, interactive program to stop obsessing about others by developing the insight, strength, and resilience to start taking care of themselves. Through hands-on guided journaling, exercises, and self-tests, readers will learn to integrate the time-tested concepts outlined in Codependent No More into their daily lives by setting and enforcing healthy limits developing a support system through healthy relationships with others and a higher power experiencing genuine love and forgiveness letting go and detaching from others' harmful behaviors.